One glance and you can see what makes the F120 stand out from the other printers in the F123 series. The printing chamber has been separated from the enclosed material bays and can now sit alone on a bench or sturdy desktop. The larger material boxes (up to 200 cubic inches per box) are now self-enclosed and sit outside of the machine housing. However, despite this reduction to the overall size of the printer, the actual build size is still the same as the larger F170. 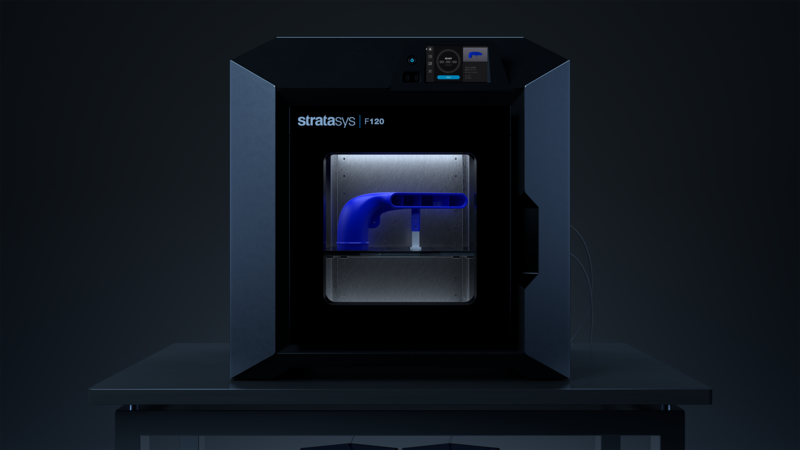 The F120 has been developed to incorporate industry-leading Stratasys technologies and the same reliability, ease-of-use and performance people love about the F123 Series. This new entry in the series has made a few changes to lower it's price-point without sacrificing what makes the series so popular in the first place. >> Check out other members of the F123 series here. The F120 will have a wide range of desired materials including ABS, ASA and SR-30 hands-free dissolveable support. All available at launch to ensure you will be able to start producing the models you need as soon as your printer is ready to run. 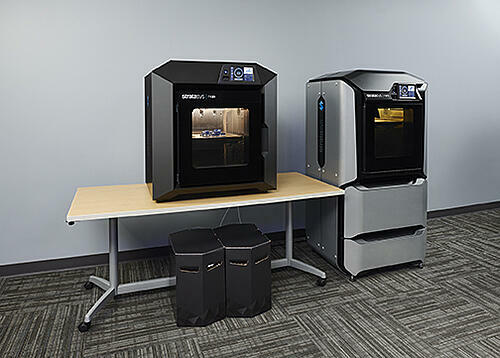 Want to learn even more about the capabilities of the new Stratasys F120? Check out our product page for a complete spec sheet or request a quote today!